Someone sent you an iCalendar file, but you’re a Google Calendar user. Can you even use this? Yes! 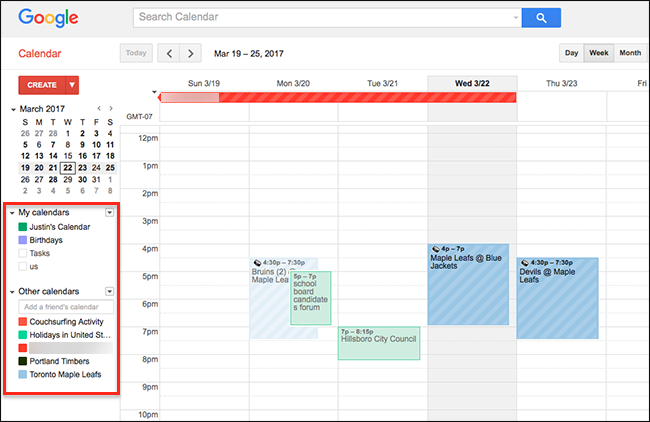 People associate the iCalendar format with Apple products, but it’s actually an open standard, and Google Calendar supports it. This means that both iCalendar downloads and iCalendar URLs work well with Google’s online calendar, though the way to add them is somewhat hidden. Here’s a quick explainer, so you can quickly add that file or URL to you Google Calendar. To import an iCal file, you need to click the arrow button next to “Other calendars,” then click the “Import” option. A window will pop up asking which file you’d like to import, and which calendar you’d like to add the file’s appointments to. 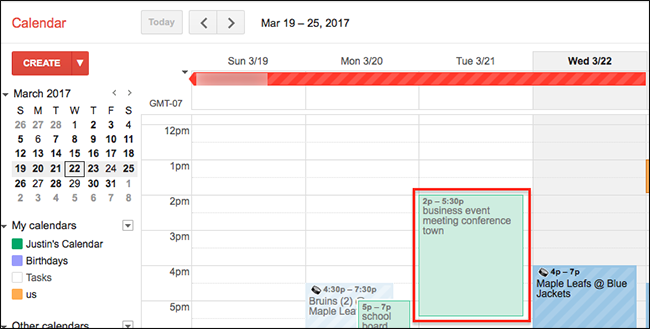 If you want the events added to their own calendar, create a new calendar before importing. Once everything is set up, click “Import” and Google Calendar will import everything from the file. You should see the changes immediately. As you can see, I now know about my important business event meeting conference town—which is good, because I don’t want to forget about that. I’m sure you’ve got equally important and real appointments to keep track. The iCalendar format isn’t just for offline files: it’s also commonly used to share web-based calendars, generally using a URL starting with webcal://. These web-based calendars are nice because they automatically update, but if you found an iCalendar URL, you might not know what to do with it. You can find and subscribe to hundreds of calendars at iCalShare.com, and for this example we’ll be subscribing to webcal://americanhistorycalendar.com/eventscalendar?format=ical&viewid=4, which highlights events in American history. Click this and you’ll see a pop-up, in which you can paste any iCalendar URL. Click the “Add Calendar” button, and you’re done! Your new calendar will show up in the list under “Other Calendars,” and events should show up right away. If the calendar doesn’t show up, check to make sure the calendar is still actively updated, or that you’ve used the correct URL. You can use this feature to subscribe to your favorite sports teams, and even get the scores the day after games. You’ll also find calendars for holidays in countries around the world, and sunrise and sunset times for whatever town you live in. There’s a lot to explore, so dive in.